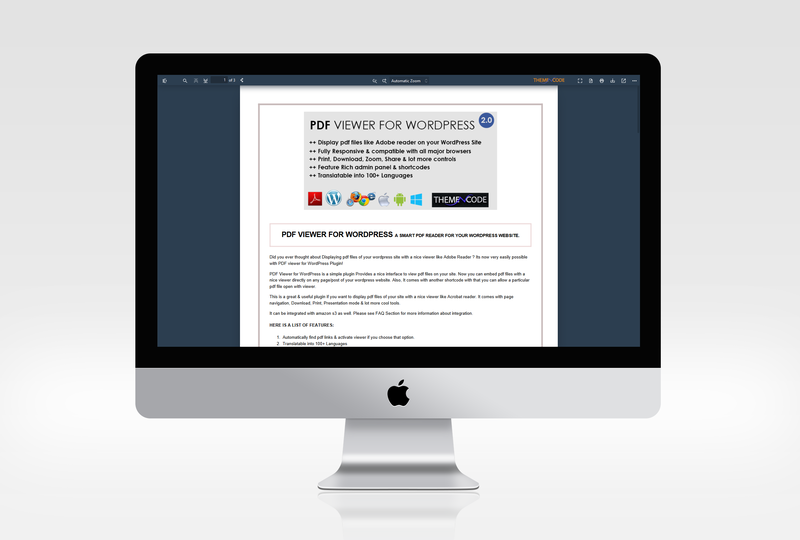 PDF Viewer for WordPress is the best selling premium PDF Reader plugin for WordPress on Codecanyon (4100+ Sales). 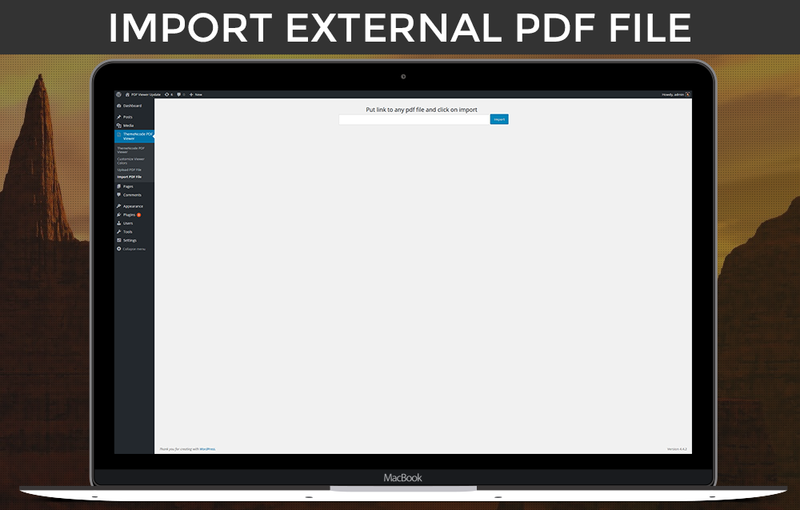 With this plugin, you can display and embed PDF Files of your WordPress Website very easily with a feature rich and nice PDF Reader. You can now Track visitors who read your pdf files using Google Analytics as well. The plugin will keep the visitor on your site and you have the option to personalize the outlook with your own logo. You can decide which toolbar items will be visible in the toolbar (Find, Download, Share, Email to Friend, Page Navigation, Zoom, Print, Open, Presentation mode, Bookmarks, Logo and more toolbar items)! Can be used on Woocommerce site. Display Product manual/pricing list pdf file on product page or any page / post. Display Brochure/Flyer PDF on page or post. Display PDF Invoice on page or post. How PDF Viewer Looks Like ? What is PDF Viewer for WordPress ? PDF Viewer for WordPress is a simple WordPress plugin that Provides a nice interface to view pdf files on your site. Now you can embed pdf files with a nice viewer directly on any page/post of your WordPress website. 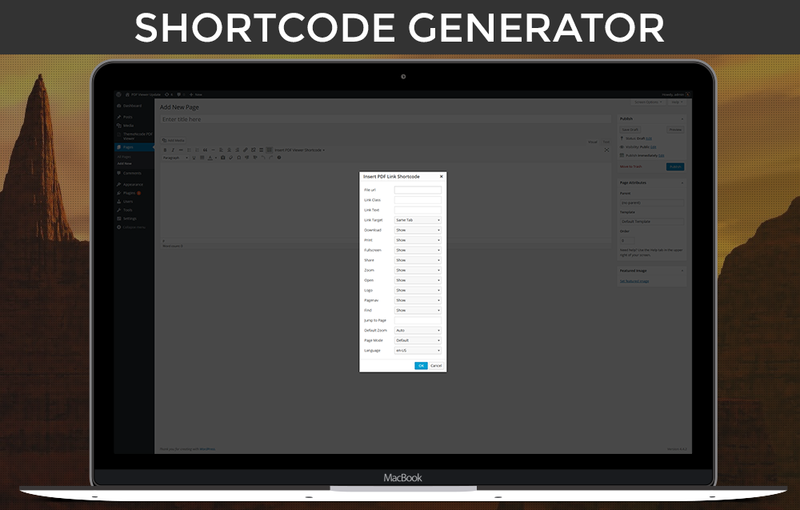 Also, It comes with another shortcode with that you can allow a particular pdf file open with the viewer. This is a great & useful plugin if you want to display pdf files of your site with a nice viewer like Acrobat reader. It comes with page navigation, Download, Print, Presentation mode & lot more cool tools. Use in ThemeForest Themes ? If you want to use PDF Viewer for WordPress plugin in your Theme here on ThemeForest too please purchase an extended license for each theme (as long as there is no Developer License available) you put on the marketplace! What is users saying ? * Now you can choose from predefined Themes or create your own color theme for viewer. * Fixed: Page templates not showing/working for a few users with specific themes. * Added Language Selector in Options page which will be used for auto link and auto frame. * Made Iframe Responsive Fix as not mandatory. You can now enable/disable it. * The URL is shorter now. * Fixed styling issues on Upload PDF File Page on Backend. Any Comments or features requests are always welcome. Please feel free to let us know if you have any kind of questions or suggestions to improve PDF viewer for WordPress Plugin.